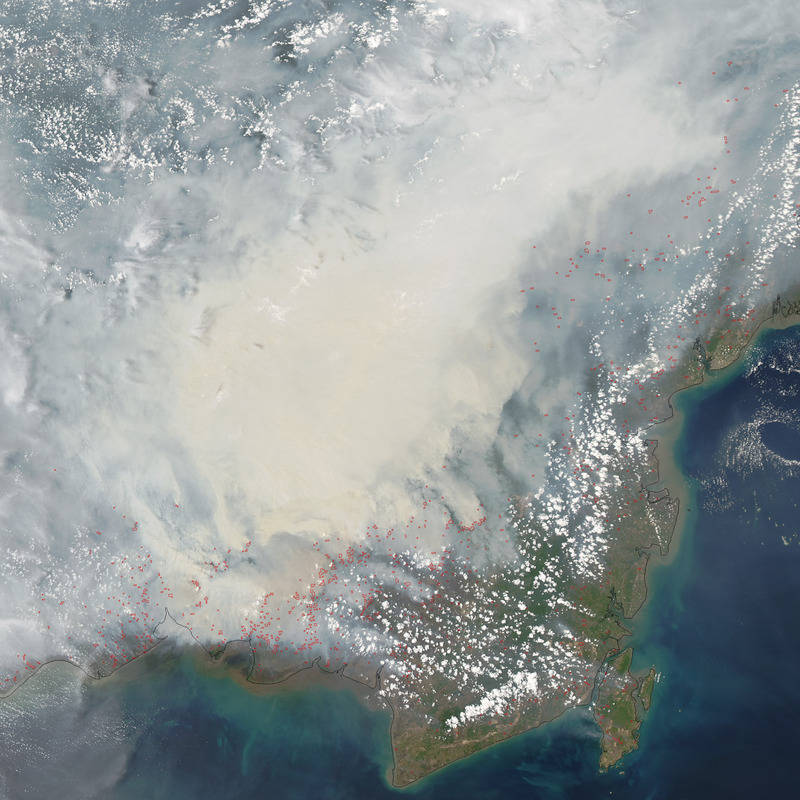 Heavy smoke blankets Borneo affecting Indonesia, Singapore, Brunei, Malaysia. This image from Nasa that captured on 19 Oct 2015 is indeed scary. The number of red marking are hotspot marked by Nasa intelligence sensor where the forest fire will be. And the amount of smokes that visualize in the image is frightening, compare to the image where the land without smoke. Download for larger resolution view. Haze in Malaysia is happen so frequent that it has now become one of the season in this country. The season that not very welcome by everyone.